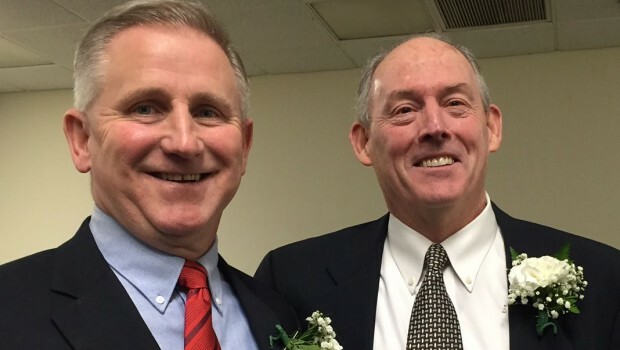 Connecticut College head coach Kenny Murphy ’76 has been selected New England Small College Athletic Conference (NESCAC) Coach of the Year. In his 10th year at the helm, Murphy guided the Camels to the #2 seed in the NESCAC tournament — and a 2nd straight NCAA Division III tournament bid. Murphy — one of 4 soccer-playing brothers at Staples — went on to star at the University of Connecticut. After 2 decades in business, he changed careers. He began coaching at Brown University, as the assistant to Mike Noonan ’79. 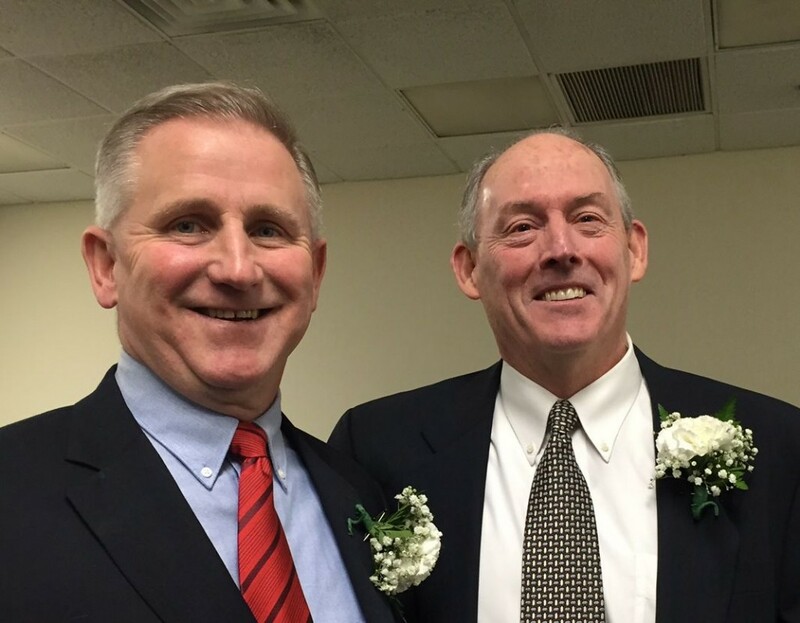 Ken Murphy ’76 (left) and Steve Baumann ’70, at their induction into the Connecticut Soccer Hall of Fame.